Dr. Chung-Chien Young (Chinese: 杨钟健,1897-1979) was one of China's foremost paleontologists. He has been called the 'Father of Chinese vertebrate paleontology'. He was born in Huaxian, Shaanxi province. Yang graduated from the Geological department of Beijing University in 1923 and in 1927 received his doctorate at Munich University in Germany. In 1928 he worked for the Cenozoic Research Laboratory of the Geological Survey of China and took charge of the excavation at Peking Man Site in Zhoukoudian. He had professorial posts at the Geological Survey, Beijing University, and Northwest University of Xi'an. Yang's scientific work was instrumental in the creation of China's Institute of Vertebrate Paleontology and Paleoanthropology in Beijing, which houses one of the most important collections in the world. He was director of both the IVPP and the Beijing Natural History Museum. He supervised the collection and research of dinosaurs in China from 1933 into the 1970s. He presided over some of the most important fossil discoveries in history, such as the prosauropods Lufengosaurus and Yunnanosaurus, the Ornithopod Tsintaosaurus, and the gigantic sauropod Mamenchisaurus, as well as China's first stegosaur Chialingosaurus. Dr. Pei Wenzhong (Chinese: 裴文中, also as W. C. Pei, March 5, 1904 - September 18, 1982) was a Chinese paleontologist, archaeologist and anthropologist. Professor Pei is considered the founding father of Chinese anthropology. He graduated from the Peking University in 1928 and went to work for the Cenozoic Research Laboratory of the Geological Survey of China joining the excavations of Peking Man Site in Zhoukoudian, where he was named the field director of the excavations in the following year. The work at Zhoukoudian was done in rough conditions: for example, the scientists had to ride to there on mules. The first skullcap was dug out by Pei "working in a 40-meter crevasse in frigid weather with a hammer in one hand and a candle in the other. ", on December 1, 1929, at 4 pm. From 1933 to 1934, he supervised the excavation of the Upper Cave site and was director of Zhoukoudian Office of the Cenozoic Research Laboratory of the Geological Survey of China. He left the excavation in 1935 to get a degree from the University of Paris and was succeeded by Professor Jia Lanpo. He returned to the excavation in 1937 shortly before they ceased. Since Zhoukoudian, Professor Pei worked at many other sites, for example Djalainor or Kansu. In 1955 he was elected to the Chinese Academy of Sciences, became the first Chairman of Chinese Association of Natural Science Museums, and the second director of Beijing Museum of Natural History. Until his death, he worked at the Institute of Vertebrate Paleontology and Paleoanthropology of the Chinese Academy of Sciences. He also wrote several books, including the first on Chinese prehistory written in Chinese. Dr. Chow Minchen (Chinese: 周明镇, 1918－1996）was born in Shanghai, China, and graduated from Chongqing University in 1943. He received a MSc degree from the University of Miami in 1948 and a Ph.D. degree from Lehigh University in 1950. He became an associate professor at Shandong University and in 1952 joined the Institute of Vertebrate Paleontology and Paleoanthropology at the Chinese Academy of Sciences in Beijing where he remained until 1996. Dr. Zhou began research in China on the early tertiary strata and mammal faunas, and for 30 years under his leadership, paleocene epoch strata and vertebrate faunas, which were believed to be missing in China, were found and investigated. He and his co-workers achieved major breakthroughs in research on early tertiary mammal faunas and continental strata in China, including the establishment of combinations of typical profiles of different strata and mammals. He was the leader from the Chinese side for the "Sino-Soviet Expedition" to northwestern China in 1959–1960 and in 1979, became a Honorary Member of the Society of Vertebrate Paleontology. He became an Academician of the Chinese Academy of Sciences in 1980 and in 1993, was awarded the Romer-Simpson Medal for "sustained and outstanding scholarly excellence and service to the discipline of vertebrate paleontology". He was an advocator of "Cladistics" in China since the early 1980s and a promotor of "Abroad study or academic training" for young Chinese paleontologists in the 1980s and 1990s. Professor Jia Lanpo (Chinese: 贾兰坡, November 25, 1908 - July 8, 2001) was one of China's leading archaeologists and a director of the Peking man excavation. Professor Jia was one of the founders of Chinese anthropology. He graduated from the Huiwen High School of Beijing in 1929 and went on to work as a trainee at the Cenozoic Research Laboratory of the Geological Survey of China. In April 1931 he joined the excavation at Peking Man in Zhoukoudian where he worked with many of the biggest names in anthropology of his era, including Pierre Teilhard de Chardin, Henri Breuil, Davidson Black, Franz Weidenreich and Pei Wenzhong whom he replaced as the head of Zhoukoudian excavations in 1935. Working at the site, Professor Jia helped unearth 45 Homo erectus fossils, more than any site in the world has produced, collectively known as the Peking man fossils. Professor Jia studied the fossils to piece together how hominids in the region evolved and supported the theory that modern Chinese could be traced from them. Most of the remains were lost in World War II, when, in an attempt to safeguard them from the Japanese invaders, American marines tried to deliver them to a ship bound for the United States and the American Museum of Natural History. What happened to them remains a mystery. But casts of the fossils were made, based in part on the work of Professor Jia, a meticulous record keeper. He managed to protect thousands of notes, letters and 2,000 photographs and negatives of the excavation at home in Beijing. After the Peking man work, Professor Jia led and participated in excavations of several Pleistocene sites in China. In 1990, he directed a Chinese-American excavation in the Nihewan Basin of northern China with help from J. Desmond Clark, an archaeologist who specializes in Africa. Throughout his career, Professor Jia was a prolific writer and published more than 180 papers, many focusing on the behavioral and morphological evolution of hominids in China. He wrote two well-known books, including ''Chinese Homo Erectus'' (1950) and ''Early Man in China'' (1980). Dr. Woo Jukang (Chinese: 吴汝康, 1916－2006）was born in Wujing, Jiangshu Province, and graduated from Nanjing University in 1940. He received a master's degree from Washington University in St. Louis USA in 1947. Two years later, he obtained a doctor's degree from the same university. An expert on anatomy and anthropology, he published, in conjunction with other scientists, books such as "Human Anatomy" and "Human Anatomic Pictures". As a result of his affiliation with these books, he earned tremendous recognition at home and abroad. In the field of anthropology, he studied the Lantian ape men, Beijing ape men, Maba ape men, and Dingchun ape men. Professor Woo later discussed the imbalance in physique development of humans from ape to men. Professor Woo is credited with creating a new academic subject, Anthropology Today. In 1980, he was elected academician of the Chinese Academy of Sciences. Dr. Meemann Chang (Chinese: 张弥曼, 1936－）, former director of the Institute of Vertebrate Paleontology and Paleoanthropology (IVPP) in Beijing. Her work has helped clarify the links between the fish that swam in Earth's oceans 400 million years ago and the air-breathing, land-walking creatures that evolved from them. She has played a key role for years in bringing little-known Chinese fish fossils to the attention of the scientific world. Chang's career has been far from straight-forward. Along with her successes, she has also faced significant difficulties, thanks to the shifting political landscape of her homeland. Despite such problems, her enthusiasm for her subject remains undimmed. "I am still digging and collecting fossil fishes," she smiles during an interview at the conference in Arizona. Chang's father, a gifted pathologist from Nanjing, wanted her to become a physician, but love of her country led her to choose geology instead. In 1958, during the Great Leap Forward, she was among those who heeded the call of vice-president Liu Shaoqi to study the Earth so that China might exploit its natural resources, such as oil. For Chang, that introduction to China's rocks set her on the path to study fish fossils, a quest that has taken her to all the continents of the world. In 1965, Chang was chosen to do graduate research at the Swedish Museum of Natural History in Stockholm, one of the leading research centres in palaeontology. But her time there was to prove short-lived. When the Cultural Revolution swept China in 1966, Chang, ever the patriot, halted her studies and returned home. In Beijing, Chang was confronted by the new phenomenon of the Red Guard who 'purified' China by isolating and punishing the academic classes. Chang's career has taken her through many countries, and allowed her to pick up numerous languages. She earned her undergraduate degree in 1960 at the Lomonosov Moscow State University, where she became fluent in Russian. She learned modest Swedish while in Stockholm, is fluent in English and reads German and French. But she is also adept at deciphering another language: that of fossilized remains. She can readily navigate a path from the 'age of fish' 400 million years ago in the Devonian period, through to the end of the dinosaur age and the Cretaceous period 65 million years ago. In her current studies, Chang is working to understand the species distribution pattern of fish across the Pacific Ocean — a distribution that reached its maximum during the Eocene epoch, between 34 million and 56 million years ago. Most of these fish became extinct in the western Pacific, she notes, but a few, such as the coelacanth, still survive in the eastern Pacific. "Tracing the origins and distribution of these fish is a very exciting endeavour," she says. Chang's contribution to Chinese palaeontology was recognized in 1983 when she became the first woman to head the IVPP. This was significant not only because of her gender but because it marked the IVPP's move away from political appointments to those based on merit. Chang served two terms as director, ending her tenure in 1990, and helped shepherd the institute from the days when whole families were living on an upper floor of the research building, to a new facility that included modern laboratories. She became an Academician of the Chinese Academy of Sciences in 1991. Professor Xinzhi WU (Chinese: 吴新智, 1928-) , member of Chinese Academy of Science, and honorary president of Chinese Society for Anatomical Sciences, was born in Hefei City, Anhui Province in June of 1928. He graduated from Shanghai Medical College in 1953. From 1952 to 1953, he was in an advanced training program for teachers of human anatomy sponsored by the Ministry of Health of Chinese Central Government. He finished post-graduate study in paleoanthropology in Chinese Academy of Science in 1961. From then, he has been working at the Institute of Vertebrate Paleontology and Paleoanthropology, as assistant research professor, associate research professor, senior professor, distinguished professor and deputy director tandemly. Professor Wu also served as deputy chief-editor and chief-editor of Acta Anthropologica Sinica for numerous years. He was deputy president of Chinese Society for Anatomical Sciences, and director of the Vocational Committee for Anthropology of this society. He has published more than 100 papers and monographs, most of which are devoted to paleoanthropology, a few to anthropometry of minorities and forensic anthropology as well as primatology such as <Anatomy of Gibbon>. In 1984, Professor Wu, with M. H. Wolpoff and A. G. Thorne, put forward a hypothesis, Multiregional Evolution, to explain the origin of modern humans. In 1998, he proposed a new hypothesis, Continuity with Hybridization, for characterizing human evolution in China. He has joined or conducted fieldwork at the Choukoutien archaeological site, and major archaeological sites in Guangxi, Yunnan, Guangdong, Shaanxi, Shandong, Shanxi, Henan and Hubei provinces. He has played an important role in the finds and studies of Homo sapiens erectus from Yunxi County of Hubei Province, Homo sapiens erectus and Homo sapiens fossils from Xichuan County of Henan Province, and Homo sapiens fossils from Dingcun, Xiangfen County of Shanxi Province. Professor Wu has presided over training programs of teaching anthropometry for the members of the Chinese Society for anatomical Sciences for three times. He was awarded one of the best graduate advisors of the Chinese Academy of Sciences in 1990. He won the first prize of the CAS Awards of Natural Science in 1991, the second and third prizes of the Guomoruo Award on History Studies respectively in 1999 and 2007, and the second prize of the State Scientific and Technological Progress Award in 2005. Dr. Zhangxiang Qiu (Chinese: 邱占祥,1936-), born in Qingdao City of Shandong Province, is a paleomammologist and Cenozoic stratigrapher. He is the fifth director of the IVPP (1991-1995). He graduated from the Department of Geology at the Lomonosov Moscow State University in 1960, and received his Ph. D. from Johannes Gutenberg University Mainz in Germany. 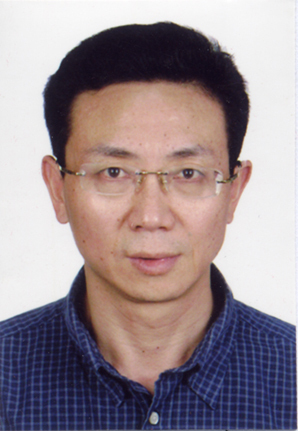 Qiu joined the IVPP in 1960, and is promoted from an assistant professor, associate professor to a full professor there. He became an doctoral supervisor in 1986, and won special government allowances for his excellence in research. Qiu was elected as member of the Chinese Academy of Sciences (academician) in 2005. He had been elected as member of the 8th to 10th CPPCC National Committee. He was the primary scientist in the Special Project of National “Climbing” Program of China, the origin of the early humans and environmental background. He is the current director of Editorial Committee of Paleovertebrata Sinica. He has won the National Science and Technology Conference Award, the first and second prizes of the CAS Awards of Natural Science, and the third prize of the State Scientific and Technological Progress Award. Dr. Zhonghe Zhou (Chinese:周忠和,1965-),born in Jiangdu, Jiangshu Province, is a paleo-ornothologist, and the nineth and tenth director of the IVPP (2008-). He graduated from the Department of Geology of Nanjing University in 1986, and after getting his Ph. D. from the University of Kansas in USA in 1999, he returned to IVPP as the first awardee of 100 Talents Programme of the Chinese Academy of Sciences at IVPP. In 2000, he won the Outstanding Youth Fund of National Natural Science Foundation of China. In 2001, his research team won the Distinguished Innovation Research Group of National Natural Science Foundation of China. He was elected as Foreign Associate of the National Academy of Sciences of USA in 2010, and as member of the Chinese Academy of Sciences (academician) in 2011. He was was elected as member of Standing Committee of the CPPCC National Committee in 2013. He is the current president of International Paleontological Association, and deputy editor in chief of National Science Review. He twice won the Second Prize of National Natural Science Award of China, and was honored as the Outstanding individual returning from study abroad recognized by the Chinese government. He won the Outstanding Science and Technology Achievement Prize of the Chinese Academy of Sciences, and the Science and Technology Award for Young Chinese Scientist etc.